I do love a bit of tanning. 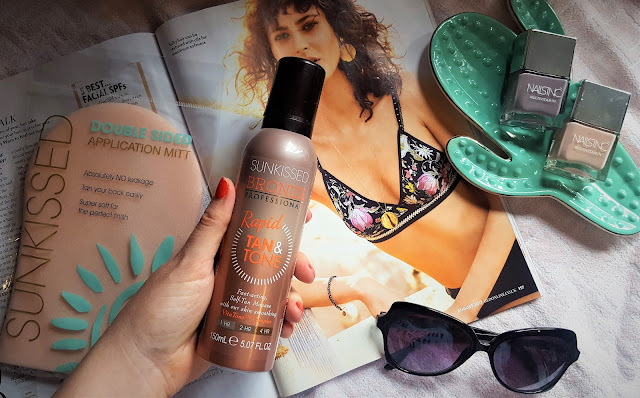 When the team at So Feminine offered me the chance of reviewing a tanner exclusive to Superdrug I couldn't say no! 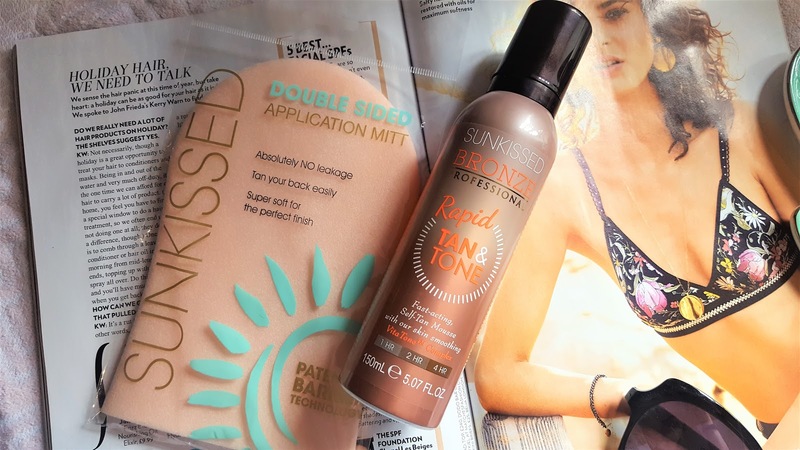 Sunkissed Bronze Professional Rapid Tan and Tone - a tanner that will give you a bronze goddess appearance in less than 60 minutes! 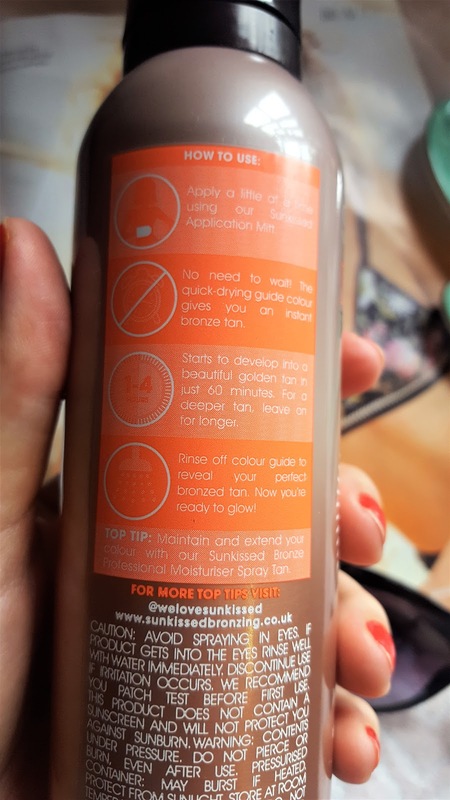 Have you ever wanted complete control over the colour of your tan? Well now you can with the new designer formula, Rapid Tan and Tone mousse from the Sunkissed Bronze Professional range. The super light tanning mousse smoothes-on easily for instant colour, and enables you to control your final shade. It's a mousse formulation that allows you to select the tan that you want! Hurrah! Not great as a first impression I'll admit, but like a trooper I carried on. The smell of Sunkissed Bronze Professional Rapid Tan and Tone is lovely, and not 'biscuity' which is a plus, the mitt applies the mousse seamlessly as well. The mitt also holds the mousse, meaning that there's no leakage and it smoothes any uneven tan marks well on your body. 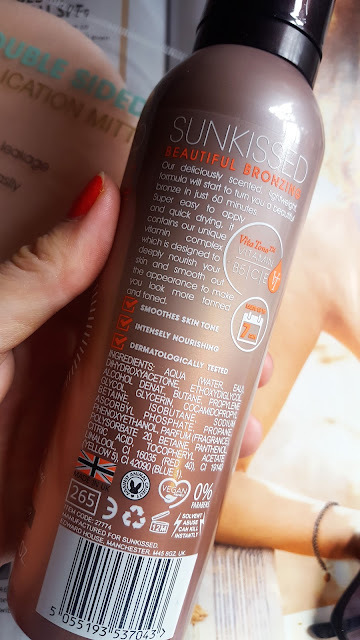 Made in the UK, the Sunkissed Bronze Professional Rapid Tan and Tone formula contains VitaToneTM, Sunkissed’s unique blend of vitamins C, B5 and E, designed to even out your skin tone to make it look visibly smoother and more toned. The complex also deeply nourishes your skin and helps to protect it against environmental damage caused by free radicals. 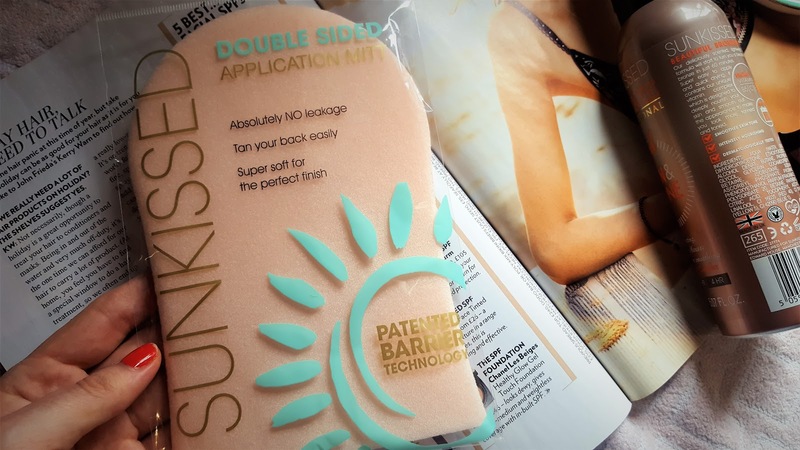 Like all Sunkissed tans the Rapid Tan and Tone is skin kind, contains 0% parabens and is vegan friendly. It also has the delicious coconut fragrance that will have you dreaming of summer holidays! 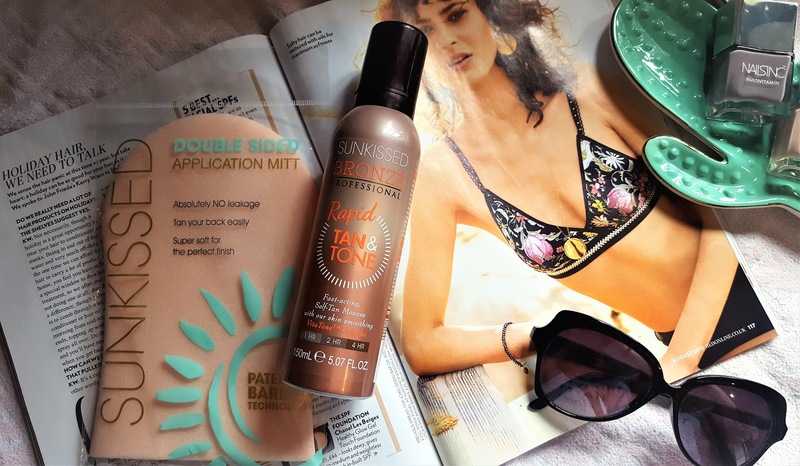 So if you lack motivation when it comes to getting your body beach ready; or you just need that extra boost, then the new Rapid Tan and Tone from the Sunkissed Bronze Professional collection might just be your new best friend. My Verdict = I loved the smell, it was like a tropical holiday, the mousse made my skin smooth and it did looked toned, but on my shower in the morning the base colour washed off (I left the mousse on for over 7 hours) Maybe if I had applied two coats of colour, the tan would of looked more bronzed, but I just didn't have the time. So watch this space, I'll try this product again and see what happens!